Situated on a 80-acre campus, Rugby School Thailand brings together the traditional values of a 450-year British private boarding school and the rich, rolling countryside and fresh air of Chonburi. Although an International School in Pattaya, our School is based on the British private boarding school model and we offer an educational experience like no other. The Rugby ethos is the whole person, the whole point. Pupils not only reach their academic potential, but also develop moral values, compassion, confidence, a sense of responsibility and social skills. Our ways of teaching and learning recognises the importance of education outside, as well as within, the classroom: mind, body and spirit the whole person. Our pupils are encouraged to challenge the limits in their academic potentials, while benefiting from the breadth of opportunities given within our school days. 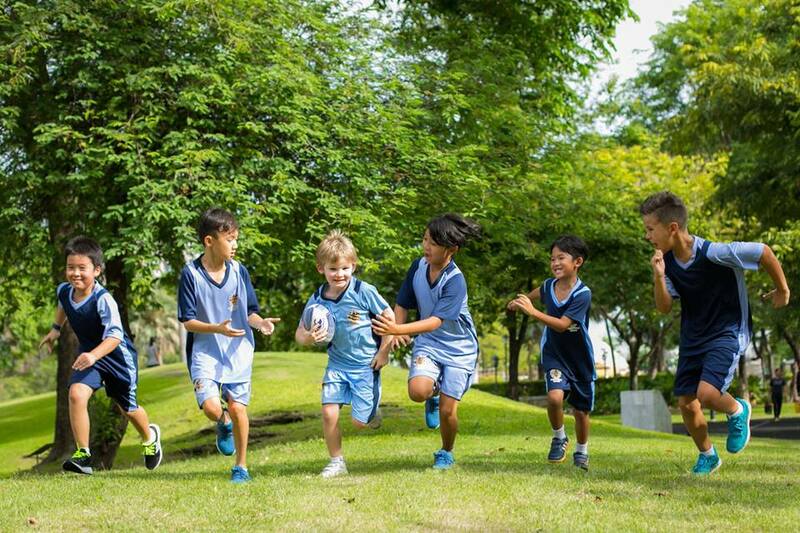 Rugby School Thailand in Pattaya makes the most of its glorious countryside location. We are not a city school where children inhale city pollution, sit in city traffic, and grow addicted to city smartphones and tablets. Our children enjoy a healthy, active lifestyle, full of variety and full of the right kind of stimulation. Following the proven British boarding school model, we aim to become a benchmark for international education in Thailand, Asia and the world.